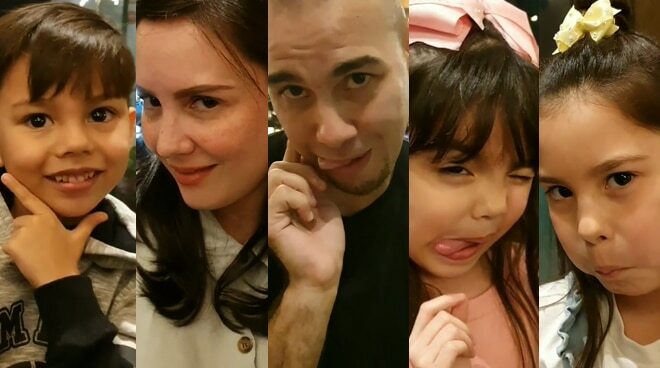 Team Kramer has once again captured the hearts of many netizens after posting their cute take on the "Dalagang Pilipina" challenge. In an Instagram post by Doug Kramer, the celebrity family can be seen adorably mimicking the popular online challenge. "#DalagangPilipina! I didn't hear about this until tonight! Scarlett convinced everyone to do it! The world is not ready. Hahaha!," Doug posted. Netizens and celebrities were completely amused by the clip. "Hahaha this is gold!! ❤️❤️ Your family is adorable! !," Pia Wurtzbach said. Iya Villania commented, "Oh em! Masyadong napractice toh ni scar ah! Haba ng hair mo Doug ah! " The post has already garnered more than 400k views as of this writing. Aside from Team Kramer, many celebrities have already posted their own version of the challenge. Celebrities like Rufa Mae Quinto, Sharlene San Pedro, Miles Ocampo and Kristel Fulgar.